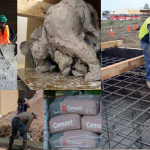 Sand is used in cement mortar, lime mortar for stone masonry, bricks masonry. 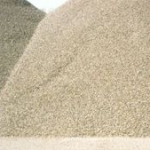 Sand is used in plan cement concrete, reinforced cement concrete, precast concrete, prestressed concrete Coarse sand is used for face plaster on external walls. Fine sand used plastering to give a smooth surface to the wall. 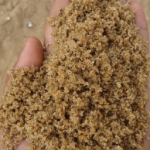 The sand server as a drainage material and is therefore used in filtration plants, filling behind retaining wall, around the foundation, filling well foundation as a filter to drain seepage water from earthen dams. Sand is used below flooring material to provide a hard and level surface.